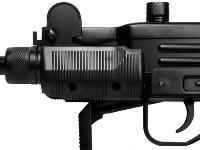 If you don't own an Uzi firearm, you may want to after shooting this BB version. It's a blast and half, and you'll be the envy of your friends! Plus, the cost of steel BBs is so low compared to handgun ammo that you can shoot for a week and still not spend the same amount as you would for an hour of shooting with loaded ammo! Same thrill, less money! This kit comes with everything you need to start shooting the minute your package arrives. Of course, you'll want to buy some extra ammo and CO2, because you'll be shootin' a LOT. Things I would have changed: Nothing.It does everything its suppose to do. What others should know: Dont buy this for anything except wanting the feel of an automatic and for scaring your neighbors and youll love it! 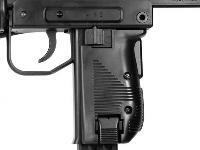 Things I liked: Looks & functions like the real UZI !!!!!!! Things I would have changed: Wish the magazines had greater capacity. Things I liked: This gun is primarily made out of metal, good weight to it, shoots well is semi auto mode, shoots 24 rounds in auto mode in about 2 to 3 seconds. Good thing this kit came with a extra magazine. ALOT OF FUN TO SHOOT...! Things I would have changed: I would change the size of the magazine to hold maybe an extra 10 BB's or so. The CO2 cartridge seems to have enough gas for maybe that many more. 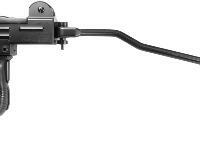 Is the full auto model, a select fire one capable of both semi auto and full auto? Do i have to buy a full-auto upgrade for this gun or is in it already...? 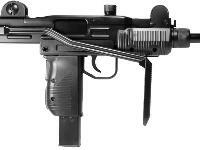 You need to buy Uzi CO2 BB Submachine Gun... which will come with full-auto enabled. 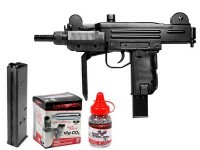 Only shoots semi-auto.Upgrade to fully auto uknown ? 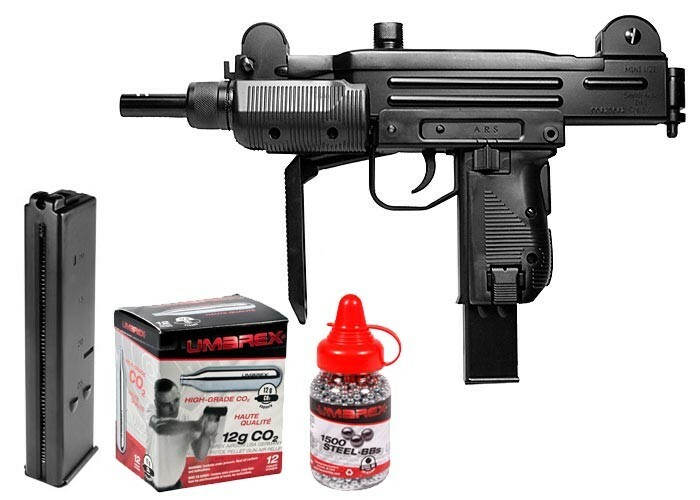 I had previouslyordered an Umarex "Steel Force" into Canada from P/A,w/out Incident, Would I be able to order this unit as well?, or would I be relegated to the "semi-auto" version?, Thanking You in Advance, Andy S.
As long as it's under 500 fps, which this model is you should be fine.